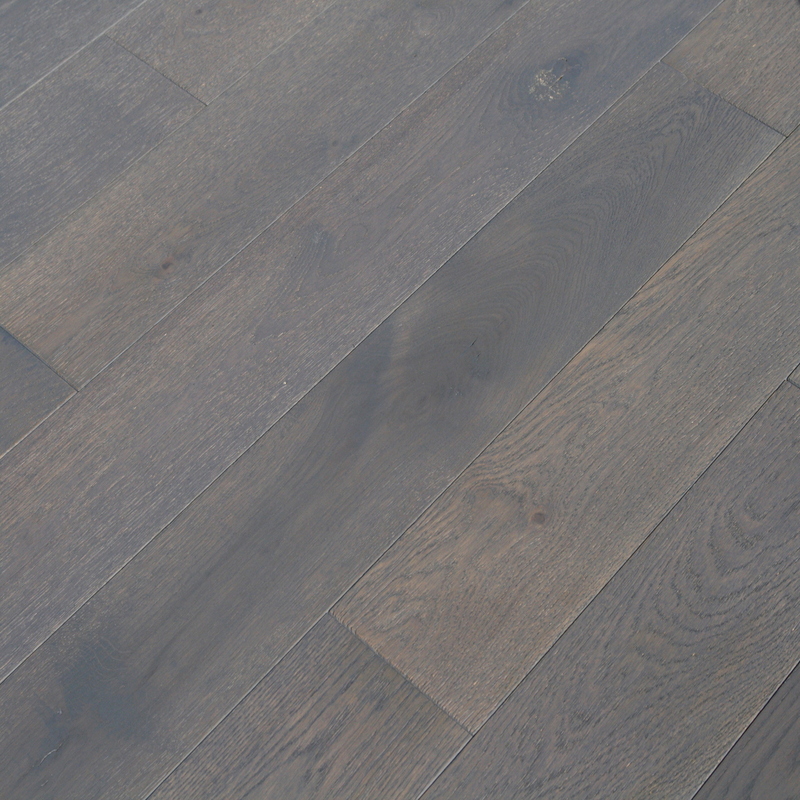 European Oak Steel, is a very durable and versatile hardwood flooring option. The light grey color tone of it’s matte stain will keep you impressed with it’s beauty for years to come. It is equipped with an oil finish that actually penetrates and becomes a part of the surface of the wood floor, it is not nearly as sensitive to scratches and wear as a urethane finish. Designers will love the look and feel of this flooring option. This product has the ability to compliment many different styles and designs by blending with other similar colors/themes or offering great contrast with darker cabinets and walls.